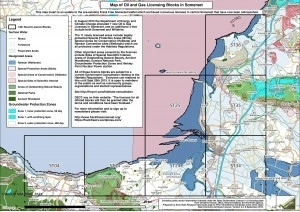 Mercury article, 15 Nov 2018, "Cllr Tom Leimdorfer proposed a motion at a North Somerset Council meeting on Tuesday stating shale gas development of any type should not be classed as a permitted development. Central Government has been carrying out consultation on whether to make non-hydraulic fracking, which is the exploratory drilling process, a permitted development and therefore not subject to the normal planning process. [NSC] Councillors overwhelmingly agreed to oppose any proposal for shale exploration to be allowed to bypass the authority’s planning system through permitted development. 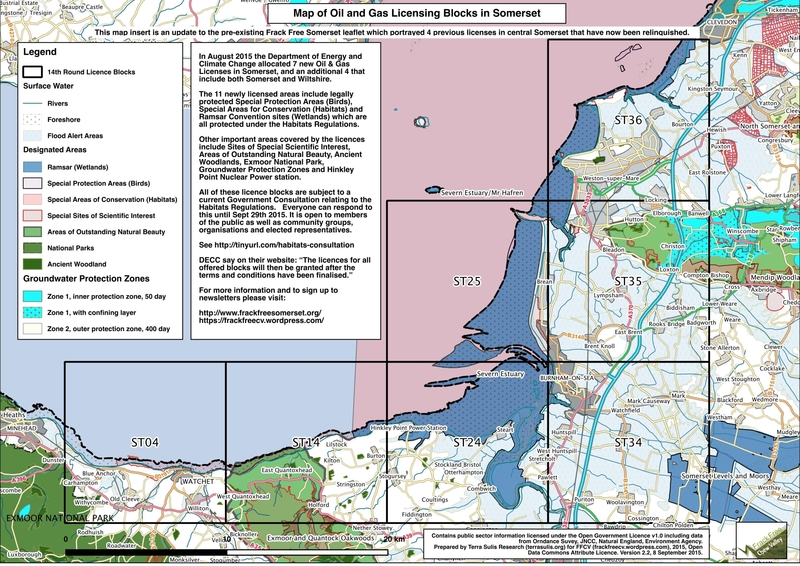 Cllr Leimdorfer said: “This is not about the pros and cons of fracking, it is about how decisions are made in a democratic society" ... "
"... Frack Free North Somerset carried out a survey in Hutton, which could be affected as company Infinity Energy holds PEDLs across the Somerset coast. Of the 181 people who responded, 87 per cent were opposed to fracking in the parish, nine per cent were undecided while only four per cent were in favour. The group’s chairman Richard Lawson said: “Our survey shows clearly there is no social licence whatsoever to frack in the parish of Hutton. ", i.e. the same Petroleum Exploration & Development Licence (PEDL) as Bleadon, see map. As the area in which these proposals are made is sow close to W-S-M and the neighbouring villages I feel the risks to damaging any water supplies would be too great. Any such applications must be governed by Local Official Bodies being allowed to vote on it and therefore MUST NOT be classed as a "permitted development" ever.